»beauty»What’s in your beauty basket? What’s in your beauty basket? 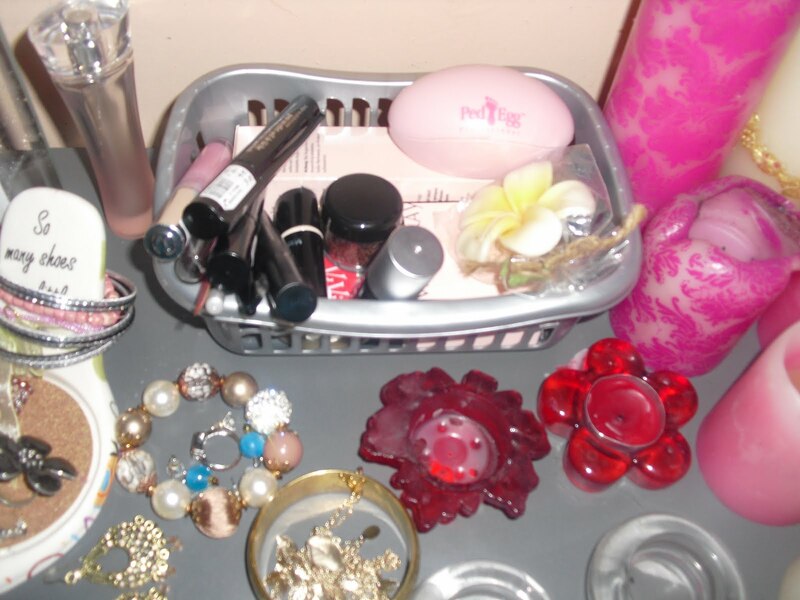 Every girl has a small stash somewhere of beauty prods. I wonder what’s in your beauty basket? It’s nice to go through the baskets of friends and family, it not only tells you about their “beauty values” but you get to learn about “new prods” – “stuff you need” – “stuff you don’t need” – “stuff that works” and “stuff that doesn’t work” or at least you may realise, your basket needs a make-over! Well this is quite embarassing – I definitely need a basket makeover. Perhaps actually decide on the BRAND I want to use (MARY KAY may win this one). You’re probably wondering where the cleansers, moisturizers,exfoliants,toners, hand creams,masks,concealers,etc etc are? Well like I said I may need a basket makeover however finding the perfect “skin routine” is always a tough journey and i’m still hunting. (At the moment keeping it au naturelle). Perhaps after digging through afew baskets from friends and family I may find something. Take a look at your own baskets and see what you need, what you don’t need and definitely take a quick raid of what other’s have? P.S NEVER SPEND TOO MUCH ON PRODUCTS THAT DON’T ADD VALUE TO YOUR GENERAL APPEARANCE. KEEP IT SIMPLE YET BEAUTIFUL.